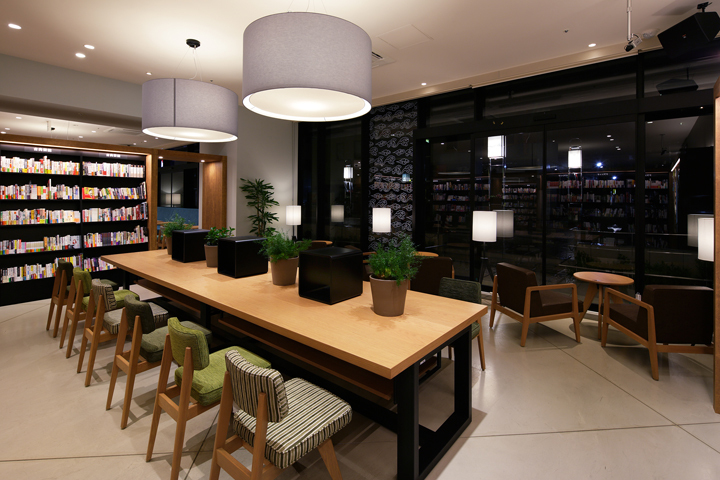 It is a plan of BOOK & CAFE “Culfe” in”TSUTAYA Sumiya Shizuoka” which been relocated to Gofukucho Tower in front of Shizuoka Station. 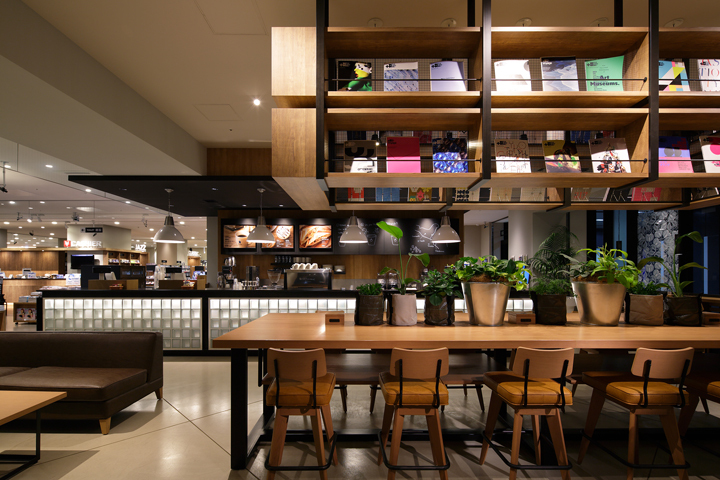 This is a speciality coffee shop managed by TSUTAYA. 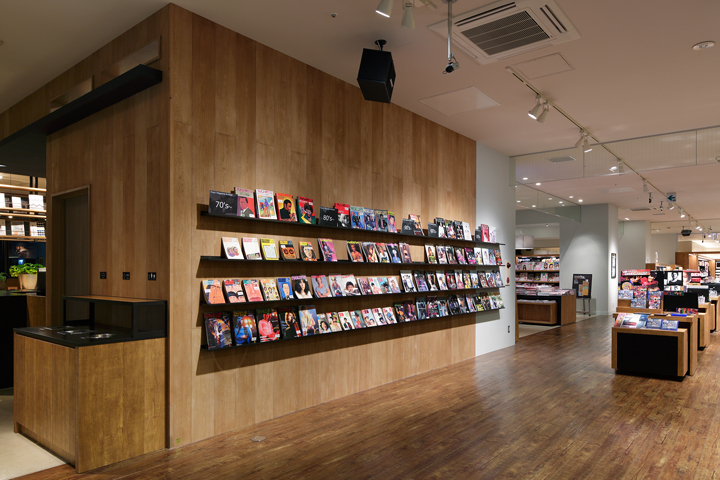 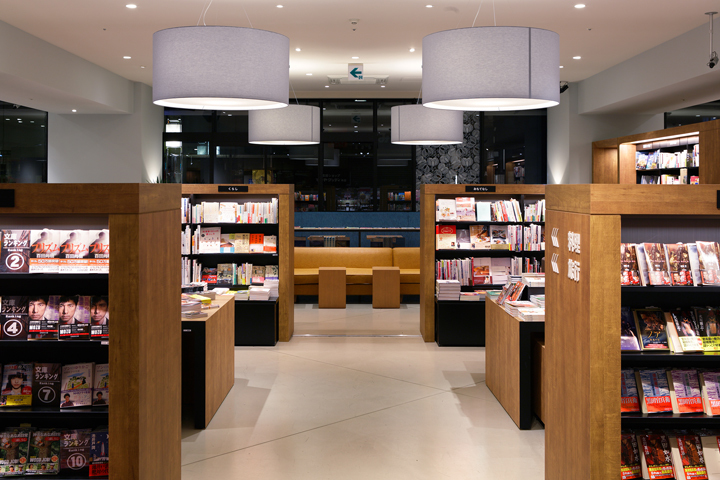 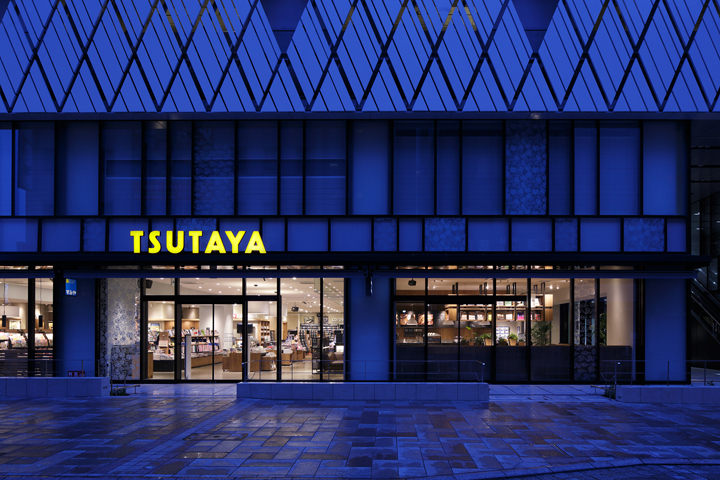 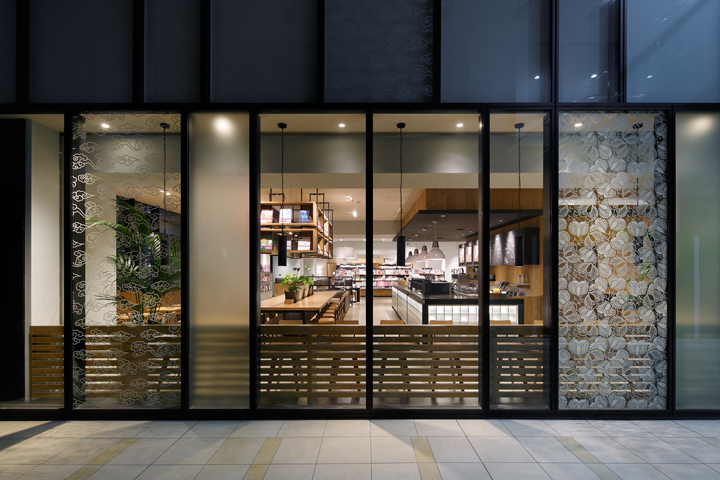 “TSUTAYA Sumiya Shizuoka” is a flagship shop of “TSUTAYA Sumiya” as a collaboration of TSUTAYA and Sumiya. 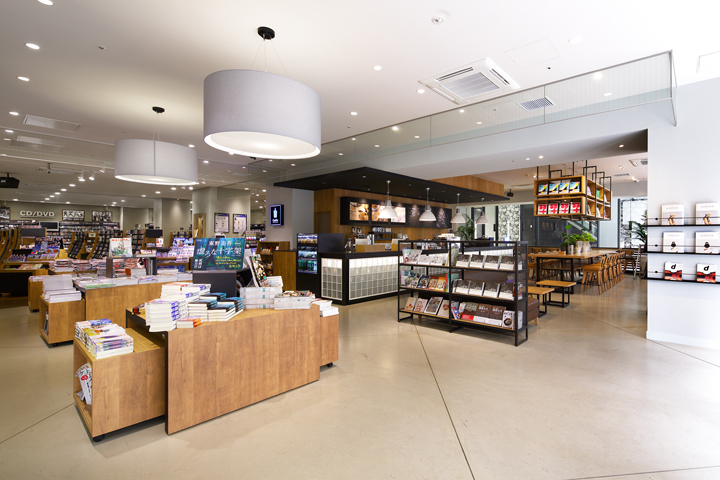 “Sumiya” has been inspiring people with music for over 80 years in Shizuoka, and “TSUTAYA” is widely known for its BOOK& CAFE style. 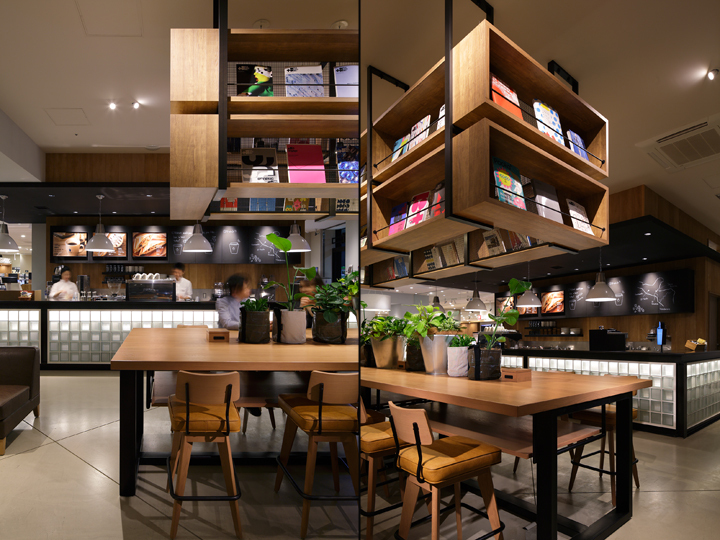 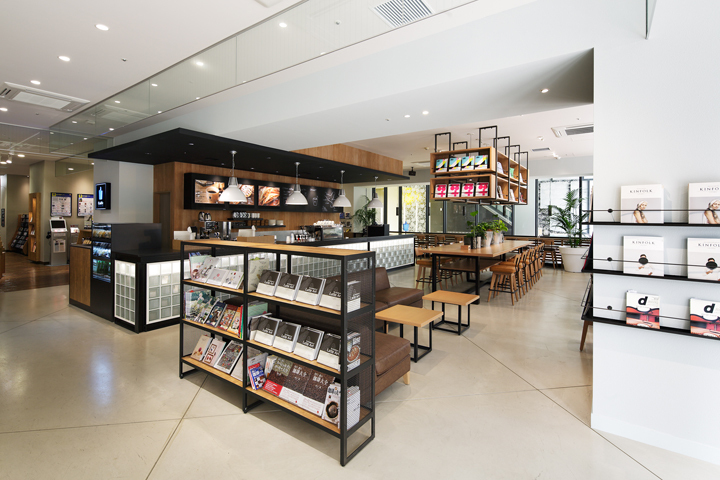 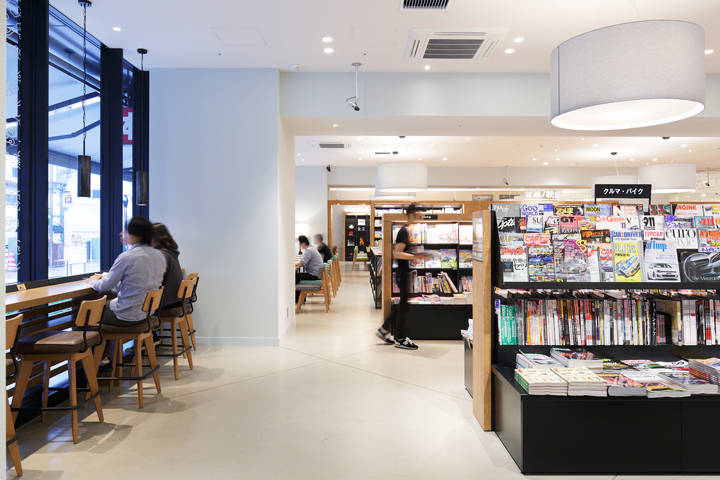 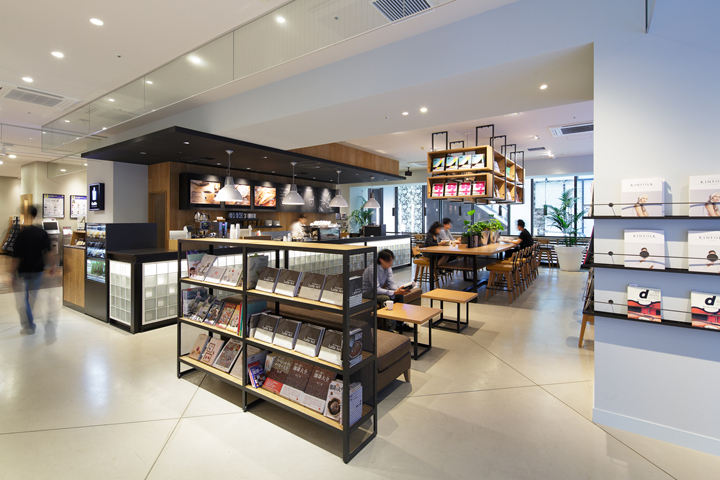 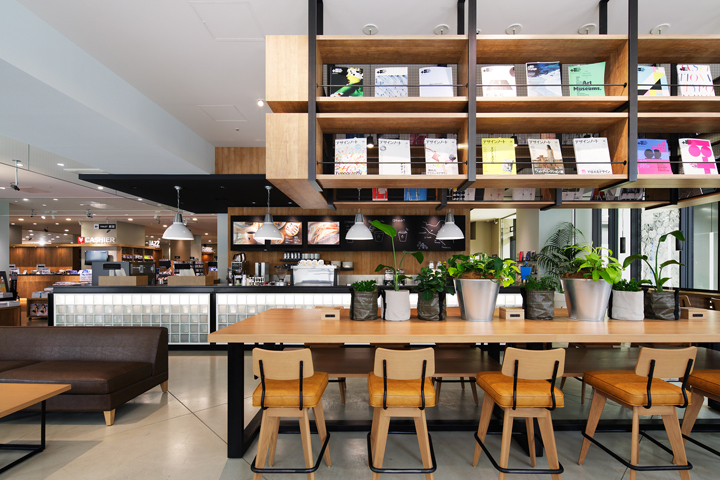 In order to embody the BOOK & CAFE style, bookshelves and cafe seats are designed to mingle in one zone to let customers freely select any book while drinking coffee. 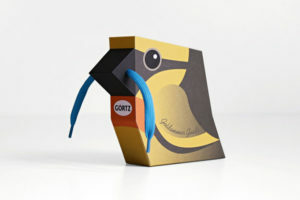 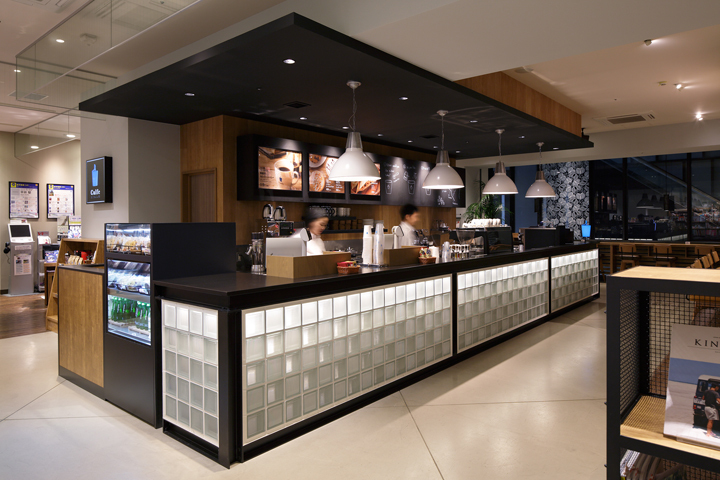 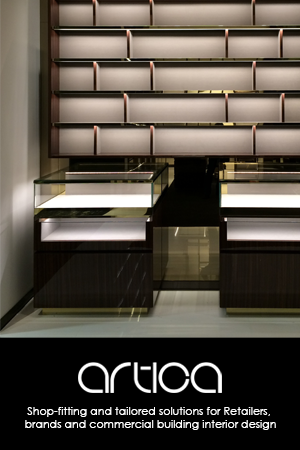 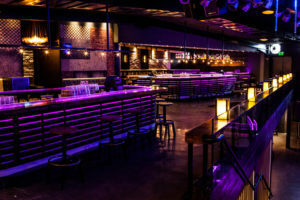 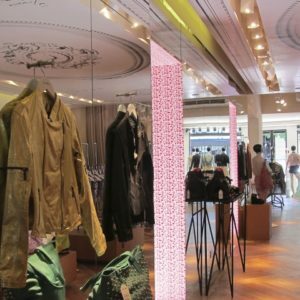 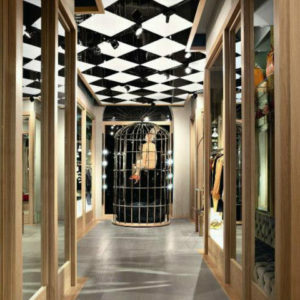 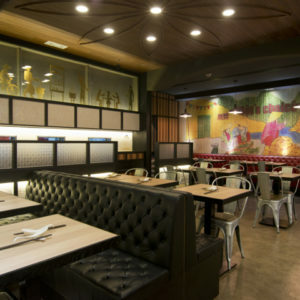 Each fixtures of the interior are also important flavor of the store. 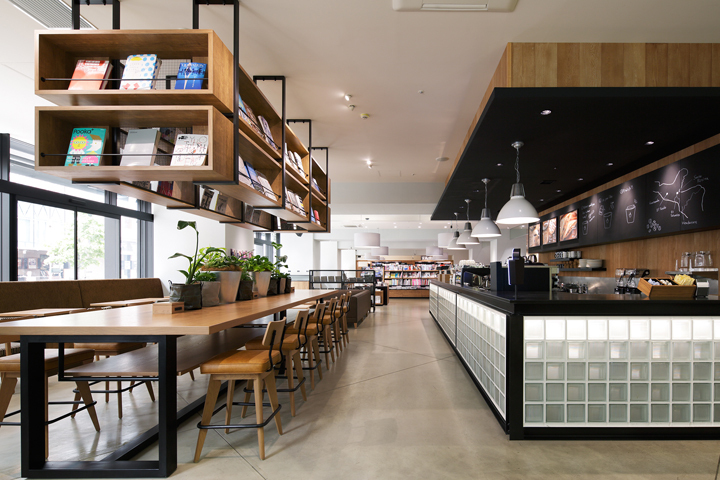 While consecutive arches of light-blue and pendant lightings create the overall atmosphere, rough taste of steel-framed glass-block made counter, bookshelf, and a huge bookshelf that hangs from the ceiling give out the simple yet strong presence to the whole cafe area. 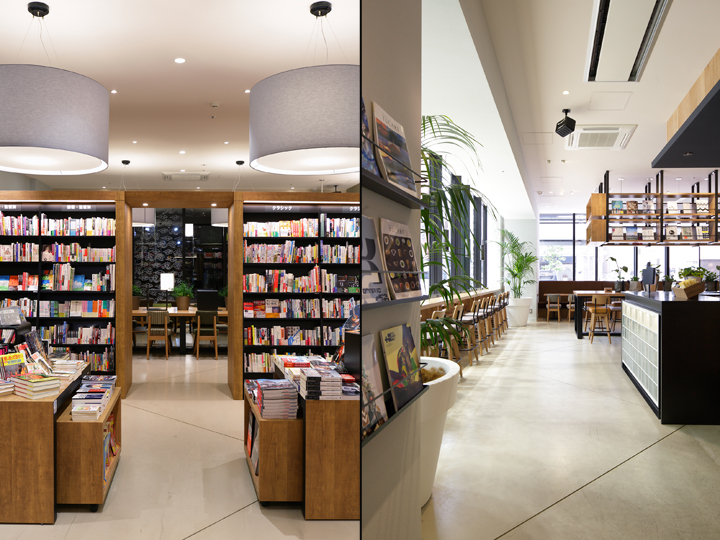 There is a space for everyone to enrich the experience of savoring coffee and choosing books in Shizuoka. 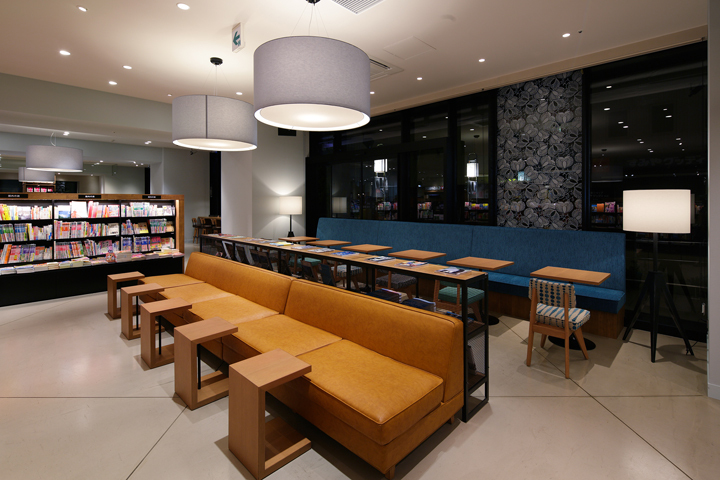 Photo by Nacasa and Partners Inc.